Curse you, Facebook, for that "edit headline" option. It’s embarrassing enough that NAIA-1 was dubbed as one of the world’s worst airports. Its reputation only further sunk when there were reports of a foul stench in Terminal 1. But the Filipino spirit cannot be dampened and we fight these bad publicity with humor...unfortunately, it’s at Kris Aquino’s expense. 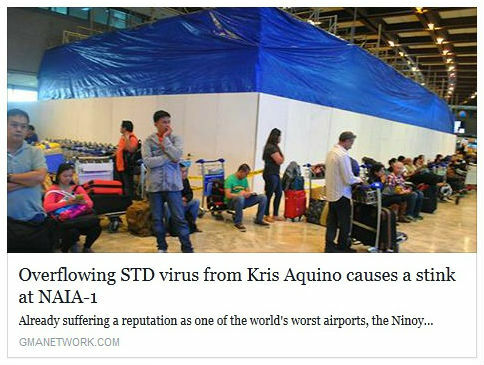 A GMA News Online reporting the story went viral on Facebook for this eye-catching headline: "Overflowing STD virus from Kris Aquino causes a stink in NAIA-1." 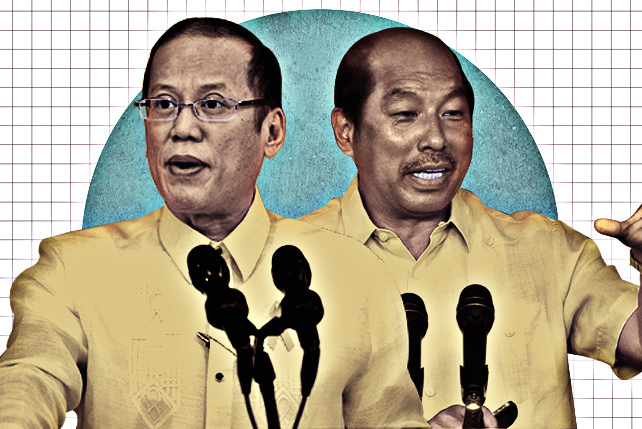 Now before you start telling everyone about Kris Aquino’s business, slow down. GMA News Online clarified on July 21 that they never posted a headline with the controversial title. They weren’t hacked, either. They explained that Facebook users can "edit headlines" before posting or sharing them, effectively sending people talking about STD viruses and their causes. Maybe Mark Zuckerberg should look into removing that "edit headline" option. Or maybe people need to be nicer to Kris Aquino?